What are the keys steps a brand needs to make to integrate the needs of its customers into its loyalty strategy? Continuous listening of feedback on the experience customers have had in order to improve it and make it always better. This is how we use NPS in Generali Global Corporate & Commercial with our corporate clients, as an opportunity to (literally) listen to their voices and discuss the survey. What are some of the best practices for creation and management of B2B digital engagement strategy? The ability to have a clear idea of what the client journey is, and be present in each moment. As Generali GC&C we’re committed with a content marketing project since in B2B transactions “75% people said the winning vendor’s content had a significant impact on their buying decisions and 70% reads 12 pieces of content on average during the decision making process”. Therefore, if we don’t produce contents to be shown during the client’s research phase, we risk not being in the consideration set. How can you create and manage a loyalty strategy that distinguish you in the competitive market? Loyalty is quite important for us since we have long lasting relationship with most of our clients. However, times are changing and we always work on improving the customer centricity approach. In particular, the portfolio segmentation is crucial in order to give differentiation on the level of service and price. The strength of working with big Corporations is that tailor-made products are already a given, so we can focus and work more on the level of service and relation. Filippo Cinelli, is in charge of representing Generali Global Corporate & Commercial Italy in the marketplace. He is managing the sales and distribution performance and coordinating the overall relationship with Clients, Top Brokers and Agents at local level. He is also leading the functions of Market Facing Operations and Multinational programs. Before joining Generali, he spent 8 years within ZURICH Group, where his last duty was the responsibility of developing the Real Estate Insurance Industry Practice across the globe. From 2002 to 2005 he worked for XL INSURANCE being the responsible manager in charge of Sales & Distribution channels in Italy. 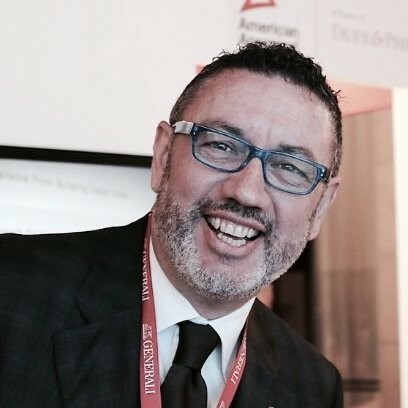 From 1999 to 2002 he worked as International Manager for CATERPILLAR INSURANCE SERVICES Corp.
Filippo has more than 9 years (from 1990 to 1999) experience within the Brokerage industry having worked 5 years with Johnson & Higgins and 4 years with Marsh & McLennan. He started his career as P/C Underwriter with ALLIANZ in Milan (Italy). Filippo is a Doctor in Law with a strong experience as a university lecturer on various topics related to the world of insurance. Filippo is married with one child, speaks four languages and he’s a former semi-professional basketball player.